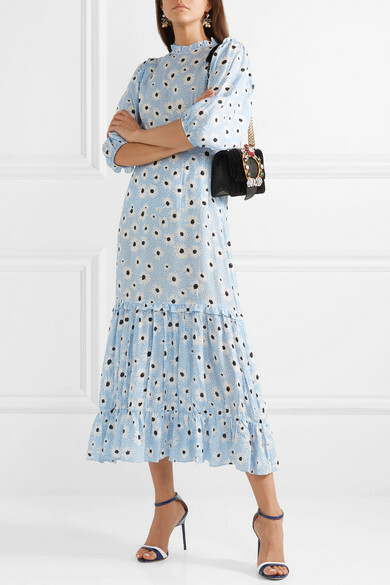 Alexa Chung modeled these two-tone sandals on Miu Miu's Resort '19 runway - they were seen peeking out from the fuzzy cuffs of the label's wide-leg jeans. Made in Italy from glossy patent-leather, they're set on 105mm stiletto heels and have slim ankle straps. Wear yours with floaty dresses and track pants alike. Shown here with: RIXO Dress, Miu Miu Shoulder bag, Miu Miu Earrings.